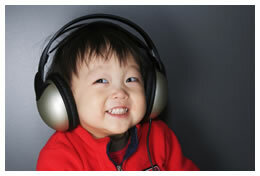 Sensational Kids OT is able to offer clients Vital Links customised Therapeutic Listening® programs. These programs when combined with Sensory Integration Therapy can achieve remarkable results. How does Therapeutic Listening® work? Who benefits from Therapeutic Listening®? What are the benefits of Therapeutic Listening®? Accessing a Therapeutic Listening® program? Where can I obtain further information about Therapeutic Listening®? Therapeutic Listening® is a specialised and evidence based protocol. It combines a sound-based intervention with sensory integrative activities to create a comprehensive program that is effective for diverse populations with sensory processing challenges. Therapeutic Listening® uses organised sound patterns, inherent to music, to impact all levels of the nervous system to increase attention, balance, body awareness and control, communication, social engagement and organisation of sensory input. Overall, children are more organised and behaviourally regulated and have more rapid therapeutic outcomes. Therapeutic Listening® is based on ideas from Tomatis Listening Program, Auditory Integration Training – AIT (Berard) and Samonas (Steinbach) and also a Sensory Integrative Framework (Jean Ayres). It was developed by Sheila Frick who is the founder of Vital Links (www.vitallinks.net). Sheila has extensive training and experience in working with individuals with sensory processing disorders. The function of the ear is to feel and hear sounds and movement. It is referred to as the vestibular-cochlear system. The cochlea is the part of the ear that is our hearing sense organ, responding to minute vibrations and differences in sound waves. The vestibular portion of the ear detects movement of the head in space. It is considered the organizer of our body senses. It is our internal ear, allowing us to understand time and space from our body’s perspective. It has a strong impact on muscle tone, posture, balance, coordination, integration of the two body sides, visual spatial skills, emotional responses and motor-planning. The vestibular-cochlear system is the first to develop in the utero and provides the foundation for both time and space organization of all other sensory systems. Therapeutic Listening® treatment stimulates and exercises the vestibular-cochlear system. It is designed to enhance the accuracy of the sensory information sent from the vestibular-cochlear system of the ear to its multiple connections throughout the nervous system. This approach builds on all of the scientific knowledge about sensory-motor integration as CNS organizer for meaningful function. Therapeutic Listening® includes the addition of music through the use of electronically altered chips to impact the central nervous system. This addition of music ties brainstem integration together with limbic system integration leading to more organized and functional behaviour outcomes. The addition of the auditory system to this treatment equation provides the considerable and unique power of uniting brainstem, limbic system, and cerebral cortex in the support of the development and emergence of higher cortical and cognitive function. Information adapted from Steven J. Cool, PhD, FAAO in Vitallinks Newsletter 2004. To implement a Therapeutic Listening® program the therapist needs to have highly specialised training from Vital Links. Tanya Williamson and many of the Sensational Kids OT staff have completed their training and are able to assess and develop an individualised Therapeutic Listening® program. Each client will need to be assessed for the suitability of implementing such a program which will always be coupled with the implementation of a sensory diet. Each person’s Therapeutic Listening® program will be monitored and updated throughout their ongoing treatment intervention with ‘Sensational Kids OT’. Therapeutic Listening® programs can be carried out at home, school/childcare or at the clinic with ongoing support from a therapist who is trained in their use. Each chip is reviewed on a fortnightly basis with the overall program typically in place for two to six months for initial gains. However, many individuals continue beyond time frame or find some of the chips useful as part of an ongoing sensory diet. As you need to be a licensed provider to purchase Therapeutic Listening® chips ‘Sensational Kids OT’ is happy to purchase these chips for ongoing use as requested. Information on this page is adapted from Sheila Frick training course ‘Listening with the whole body’. The Therapeutic Listening® chips include sounds that can not be replicated by most headphones. The dynamic range and resistance specifications are critical and have been specially formulated to provide the best results from the program. High quality HD500A Sennheiser stereo headphones are designed specifically for use with Therapeutic Listening® chips. Improved audio technology is fused with a “BioNetic” design that offers unsurpassed comfort for children and adults. 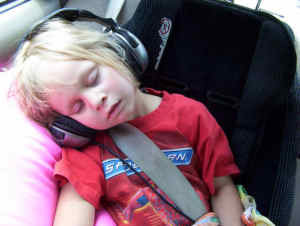 Headphones can be purchased through Sensational Kids OT or independently through other vendors. You must make sure that the headphones meet the criteria of the specified headphones, as outlined below, otherwise the program will not be therapeutically beneficial. If you would like further information, download this video. This video is courtesy of Vital Links and is aimed at parents and care givers.